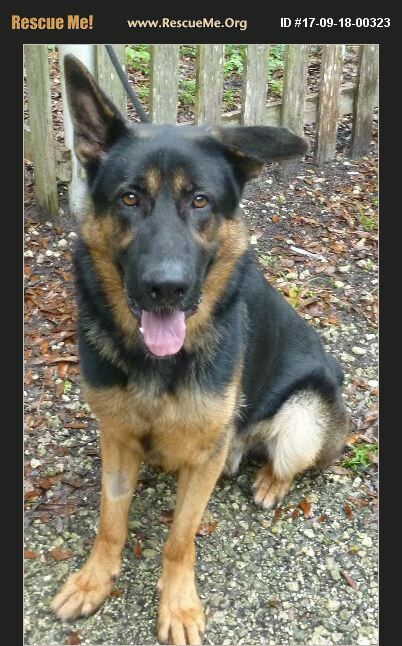 Cain is a handsome 2 yr old male, 75- 80lb German Shepherd. He is neutered, chipped, up to date on all vaccinations and housebroken. From what we can tell, Cain was not given much attention by his previous owner. He is desperate to have human contact & to bond with someone, but is very wary of new people & situations and very uncertain 'how' he should be interacting. In many ways, he is rather immature & puppy like in his approach. He knows some commands and is OK on leash, but would really benefit from a 'basic training' course. Cain is a smart and eager learner and we believe will be easy to train once he is bonded with someone. He does chase balls and loves to play the 'catch me' game. He will be a loyal & protective GSD for the right owner willing to invest a little time bringing him up to speed. Experienced GSD owners preferred. PLEASE NOTE: We MUST have your completed Adoption Application on file BEFORE we arrange a meet 'n greet. MANDATORY Vet check and fenced yard required. NO cats, small dogs or children under 12. NO calls please, email only. We do not transport, all dogs MUST be picked up in person. Adoption Donation is $200.